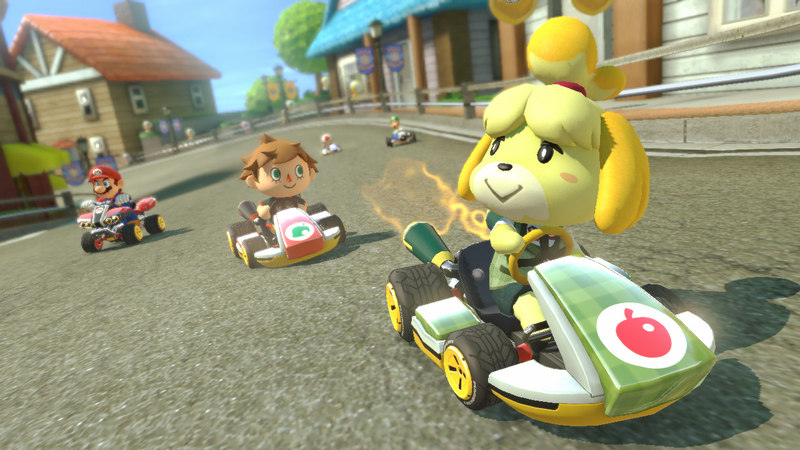 Even though it wasn’t featured on either of our individual lists, Mario Kart 8 was easily GIMMGP’s Top Game of 2014. 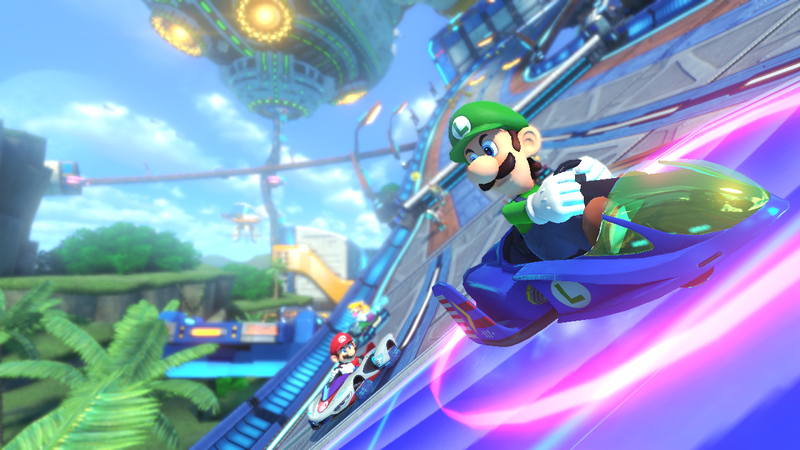 This comes as no surprise to us, since Mario Kart was the reason we purchased a Wii-U. From the moment we first raced at a friend’s apartment, we knew we had to have this fantastic game. 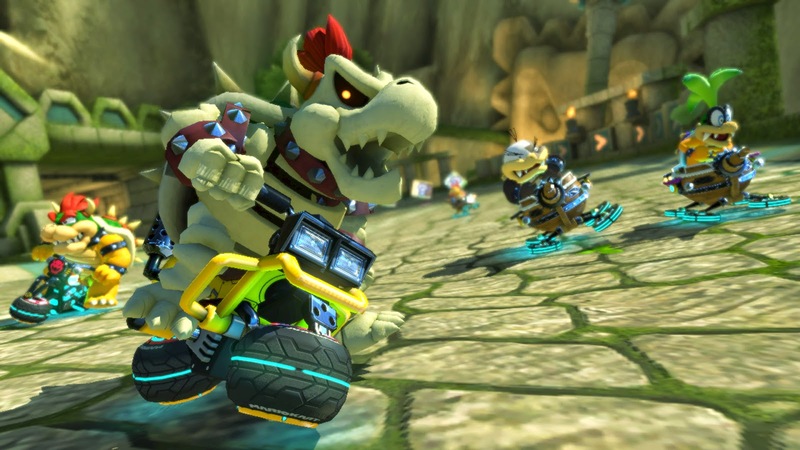 As Laura mentioned in our first Gateway Games post, Mario Kart is aesthetically interesting, technically manageable, and “not the least bit concerned with the proper physics of a dinosaur riding a motorcycle.” The approachable gameplay and familiar Nintendo characters make Mario Kart 8 an ideal party activity. 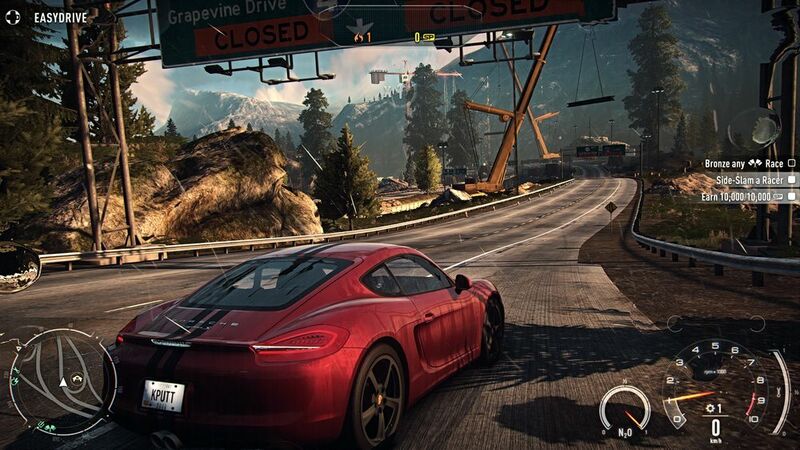 The wide variety of tracks and vehicle options kept our attention for months, and a healthy amount of post-release downloadable content ensured we would come back for more. 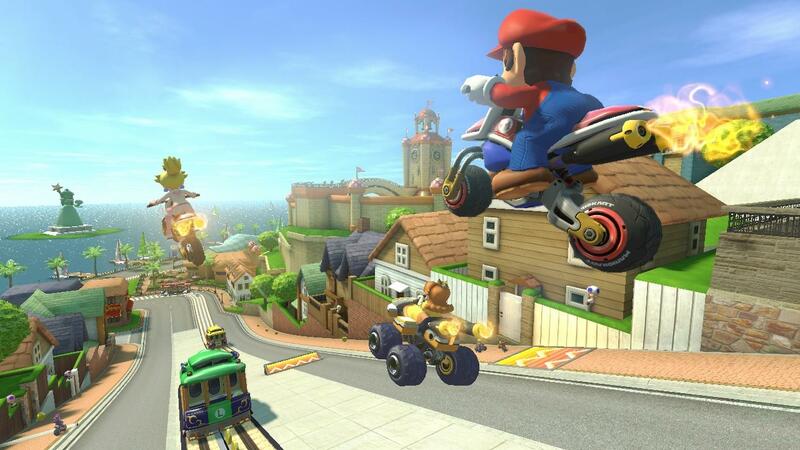 There have been two packs of DLC released for Mario Kart 8 so far. Each of these packs adds two grand prix cups (for a total of 8 new race tracks), three new characters, and four new vehicles. The DLC also features plenty of crossovers and cameos from other beloved properties, like the Legend of Zelda, F-Zero, and Animal Crossing. We eagerly downloaded the first pack when it released in 2014, and we have more recently purchased the second pack since its 2015 release. Now that we have had plenty of time to digest the latest Mario Kart DLC, it’s time for a mini-GIMMGP review! 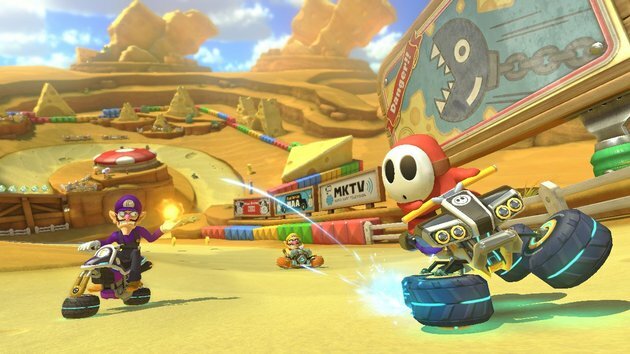 Chip is so pleased to see another F-Zero staple make an appearance in Mario Kart 8. As much as we loved racing in Mute City in the first DLC pack, Big Blue is our preferred Formula Zero flavor. The track features plenty of nods to its parent series, including damage barriers, energy refill pads, and AMAZING music. The soundtrack for Mario Kart already impressed us with its live band recording, so the dueling guitars and brass of Big Blue are especially exciting. We are also pleased to see another continuous track that is divided into sections rather than laps. Runner up: Ribbon Road. It is delightful. We never played Mario Kart Super Circuit on the Game Boy Advance, so neither of us have any prior love for its tracks. So when one of the retro-remake courses happens to come from Super Circuit instead of our beloved Mario Kart 64, we are less than enthused. Cheese Land is a lackluster track, filled with garish yellow tones, grating harsh turns, and obnoxious moving obstacles. At least it’s not another Rainbow Road. Runner up: Neo Bowser City. It’s very pretty, we are just terrible at it. It’s no secret that Laura and I loved Animal Crossing: New Leaf. It was our mutual summer obsession in 2013. I love the aesthetic of the Animal Crossing series, so I was eager to see its inclusion in Mario Kart. The Villager fits my racing style quite well: a lightweight racer with solid turning skills. 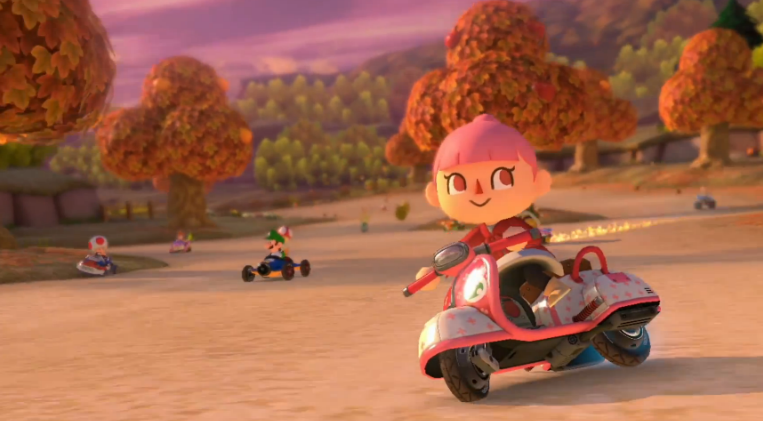 Plus, the addition of the chic City Tripper moped makes my Villager look quite fashionable while she leaves other racers in the dust. I inadvertently picked Dry Bowser the first time we played this DLC. What started out as an accident turned out to be a beautiful moment of serendipity. Do you know the feeling of finding a character in a game that truly understands you? Sure, he is a particularly fast, but this goes deeper than that. We are soul mates. The way he bullies the other players on the track. The way he breathes fire when excited or angry. How ridiculous he looks riding tiny motorcycles. Truly, we were made for each other. Captain Falcon is a Hunter, Not a Racer. Captain Falcon has become something of a meme hero these days, more iconic for his catchphrases and signature punch than his career of driving futuristic vehicles. His current status as a cheesy action hero is mostly due to his inclusion in Super Smash Brothers, where his racing skills proved to have no correlation to knocking opponents off of various platforms. But from the inception of the F-Zero series, Captain Falcon has been portrayed as more of a galaxy-renowned bounty hunter instead of a worlds-class racer. Written and drawn by Takaya Imamura, the character designer for F-Zero and Star Fox, this comic showcased Captain Falcon’s prowess as an intergalactic bounty hunter. Within these few pages, the Captain wins a laser pistol duel, defends his bounty from a rival hunter, and arrests a high-level crime boss. All of these feats occur mere moments before his first race in the Knight League, the initial competition that players face in the game. Since this initial glimpse into Captain Falcon’s life outside of the races, Nintendo has greatly expanded the universe of F-Zero through a 51-episode animated series and various bits of storytelling in game sequels and cameo appearances. In spite of creating a rich science fiction world full of colorful characters and scenarios, there has not been an F-Zero game released since 2004. Personally, I would love to see a F-Zero game with a combination of different gameplay styles. Instead of just sticking to tournament races, there could be action portions where players can take control of Captain Falcon as he hunts down the scum of the universe. The money earned through bounty hunting could be used to upgrade his signature racer, the Blue Falcon, as Captain Falcon tries to balance his careers as a renegade champion for justice and a Formula Zero racer. As I continue to dream about a hybrid action/racing F-Zero game, be sure to check out the Video Game Art Archive, where “The Story of Captain Falcon” has been lovingly scanned and archived for your reading pleasure. There is plenty of other amazing official video game artwork featured on this site, most recently including rare EarthBound and Kirby’s Dream Land 2 scans. Please follow the Video Game Art Archive for plenty of gaming goodness, and if you’ve got a few bucks to spare, please support the VGAA through Patreon. Great archival work deserves some support. 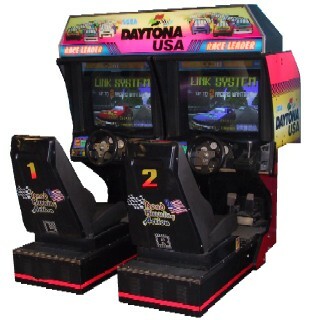 Most of my time spent with racing games has been in the form of dedicated arcade cabinets shaped like the virtual cars I am driving. The feel of a steering wheel in my hands and a pair of pedals at my feet engages me in a totally different way than simply playing with a controller on my couch. However, there is a drawback to this sort of experience: obnoxious arcade noise. 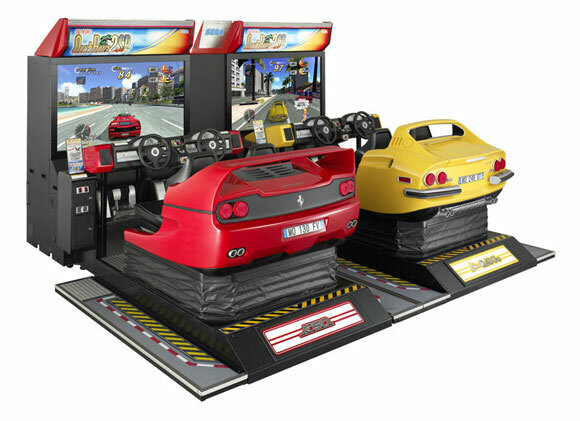 Depending on the build of the cabinet and the strength of the speakers, a racing game soundtrack is easily drowned out by the ambient sounds of chattering children playing on other machines. On the rare occasion that the music is cranked up to 11, the featured tunes are often licensed tracks from current pop music. This is a shame, because so many of these arcade racing titles feature original and immersive music that gets the adrenaline pumping. This majestic ballad was used as the attract mode for the arcade cabinet, but I had never been called by its siren song before. Composer Takenobu Mitsuyoshi provided the vocals for the entire arcade soundtrack via synthesizer, and he went the extra mile for the Saturn port by re-recording each song with real instruments and re-singing all of the lyrics. Mitsuyoshi was also a member of the Sega Sound Team Band, which gave him the opportunity to perform game music in front of live audiences, including the beloved Daytona USA soundtrack. Every song in Daytona USA is so earnest and filled with upbeat sounds that match the colorful racing so well. From the first bellow of, “ROLLING STARRRRT,” I was ready to put the pedal to the metal in this virtual world. 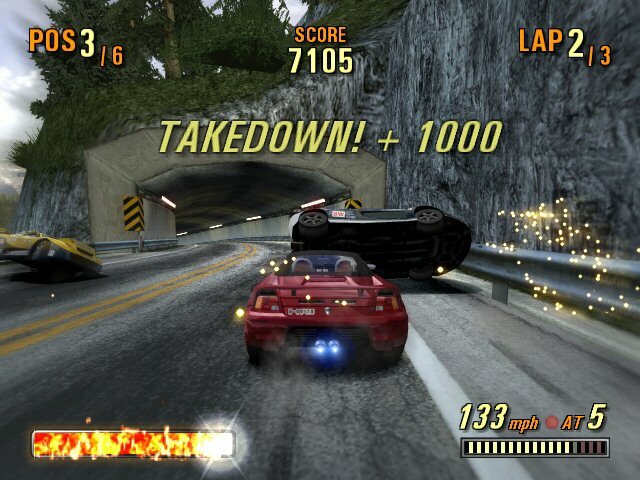 The game was eventually ported to the Xbox Live Arcade and PlayStation Network, where the popularity of its soundtrack led to the inclusion of a Karaoke Mode. 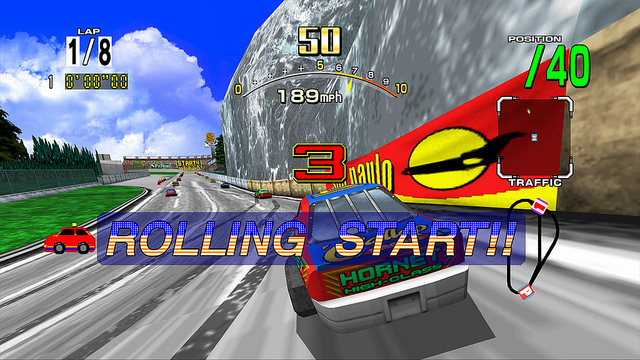 In this mode, players can sing along with Mitsuyoshi’s vocals as lyrics bounce along beneath the racing action. As the arcade halls of my youth are fading away in American culture, I am a bit sad to see dedicated racing cabinets go the way of the dinosaur and floppy disks. 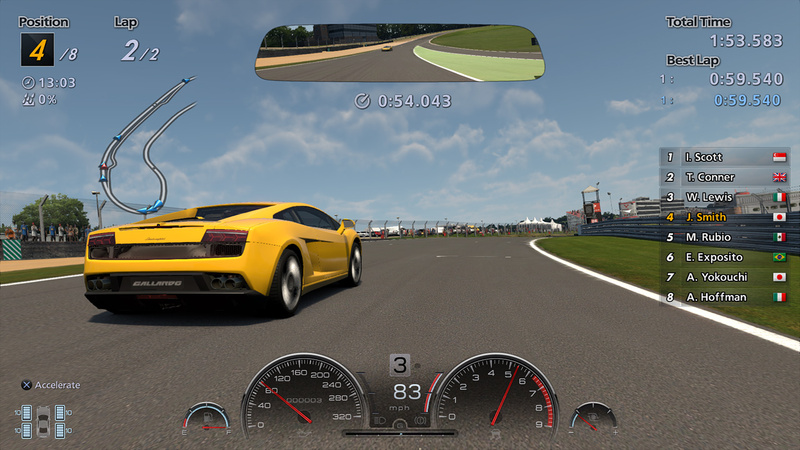 I will miss crawling into a bucket seat, taking hold of a steering wheel, and driving through a virtual raceway. But I suppose being able to sing along with The King of Speed in the comfort of my own home is a suitable trade-off. As with my list from 2013, my top picks of the year aren’t necessarily games that came out in 2014 (technically, I think only one did). These are the three games that I spent the majority of my time playing in 2014. I’m not going into too much detail about them here because I want to do a full write up on each in the future. So let’s jump in, shall we? I haven’t finished this game yet. I think I am nearly done and I have loved every minute of it. 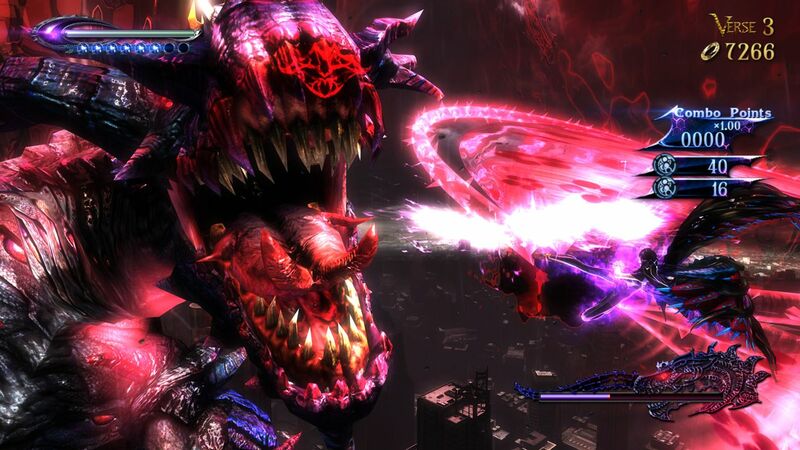 I can hardly follow the plot and I can barely scrape a passing grade at the end of each chapter, but Bayonetta 2 is such a joy in my life. Even moving around in this game is fun. If you enjoyed Bayonetta, this is more of the same (in a good way). It is still the bombastic, high-energy, firework display that the first one was with some new moves, weapons, and costumes. This is a game that doesn’t take itself too seriously, and I love that. I don’t play online because I am not polite enough to play online. I buy cars only when I really need them or really want them; I don’t collect them or upgrade them very often. The few cars that I do have in my garage are black, with one exception (a flamboyant, glittery, orange/purple atrocity that I simply needed in my life). I have little patience for stats. As in life, my interest in cars is a purely practical one: Get me from point A to point B. Only now it is a matter of getting from point A to point B fast enough for a gold medal. I play for gold with such ferocious determination. I don’t play to complete a task, I play to conquer it…which might explain why I haven’t actually beaten this game yet. I played this game so much since it was released in English this year. 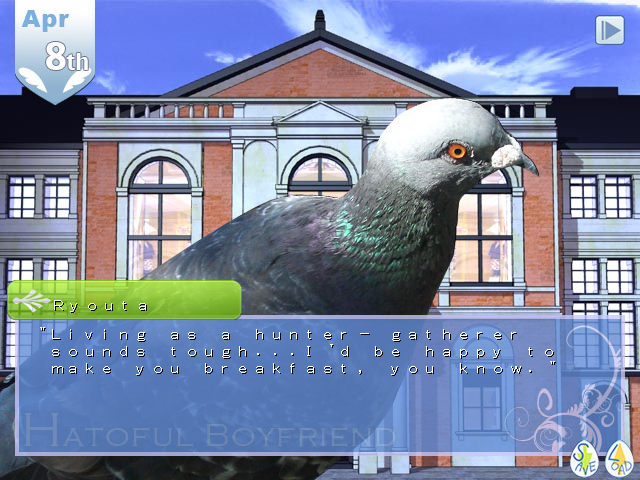 For those who don’t know about this delightful little delicacy, it is a visual novel developed by PigeoNation Inc. You play as the only human at a private school for gifted, sapient birds. It is just ridiculous and you should totally play it.